© 2019 DECONGÉ. All rights reserved. Rescued Refuse: playfully immortalizing common objects. Regardless of material, the aesthetic quality of jewelry reigns supreme over our perceived value of metals and stones. The found objects in the Rescued Refuse collection are familiar objects that are commonly disposed of - whether we eat, recycle, or toss them. 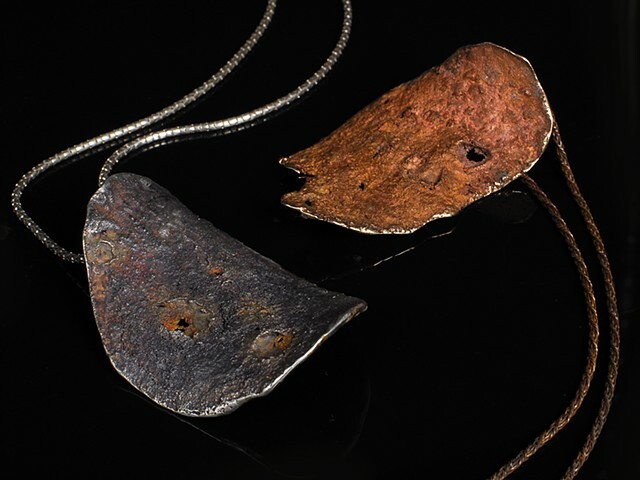 These throwaways are converted to metal replicas in traditional jewelry forms as well as the unconventional: cleavage pendants, epaulettes, and shoes. Pearls are nature's contribution to Rescued Refuse. The oyster’s natural refuse adorns manufactured refuse such as pencil shavings and broken glass. Each piece is finished and perfected when the transformed objects are enveloped in a brilliant luster. the studio embarking on an exciting evolution as a socially conscious brand. product design, user experience, and overall ethos are long overdue for an overhaul.